This one's another color that works well for me! I wasn't one hundred per cent sure how the lilac-toned balms would look on me, so I tried Fusion first - thinking, it looks the closest to a pink-lavender, that might work the best. 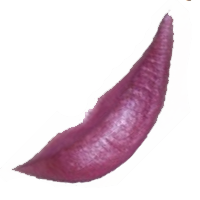 (Especially since I can wear some plum-lilac and mauve-plum lipstick shades, and they actually look really good with my coloring.) 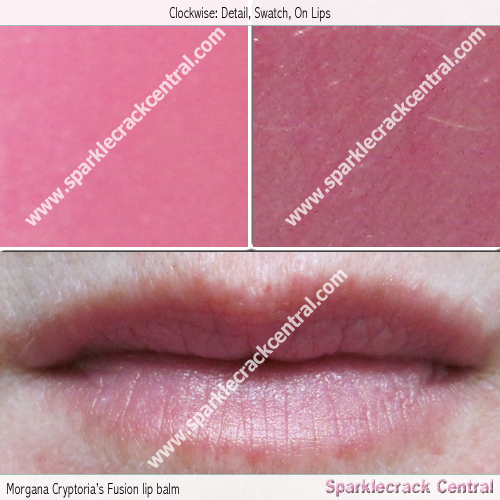 As with all the other lip balms from Morgana, the formula's fantastic, application is really smooth, pigmentation levels are excellent (a bit more than what I typically expect from a “balm”) and the wear-time is about average for a balm - perhaps a tiny bit longer. I don't see the orange-gold sheen the manufacturer mentions, but I do see a bit of reflectiveness. Never mind my milkshake bringing the boys to the yard, my lip balm has an albedo.